Frameset from £2250. A deposit of £1125 is required with balance on completion. We spent years developing our first bike, the All Season. We wanted something that could be used all year round, whether on gravel paths, club runs, touring, audaxing, commuting, almost anything you could throw at it. It’s a great bike, and has served us and many ISEN customers admirably but we realised that by pretending we now only need one bike in our lives, we were just lying to ourselves. So we set out to make the polar opposite of the All Season, a one-track minded road weapon. Developed with leading UK crit riders and emphasising speed, effortless handling and ‘chuckability’, the R3 was born. There are no allowances for all year riding or any attempts to make the R3 a do-it-all frameset. Mudguard mounts? For cowards. Rack mounts? No way grandad! We’ve mounted the rear brake at the BB to maintain the clean lines of the frame, sub-optimal if you’re commuting every day in slush and slime, but perfect for turning your bestie into a green-eyed monster. We’ve chosen the lightest tube set possible – a mix of Columbus Spirit and Life – to maintain class-leading stiffness where it is needed most whilst minimizing road buzz thanks to our custom rolled carbon ISP and topper system. As everyone at ISEN was too fat and slow to really show what this monster could do, we gave the prototypes to local elite riders who have a far lower volume and higher velocity than ourselves. So far they have repeatedly won races at the renowned Crystal Palace Crits, and ridden in the 2018 OVO Tour Series, with great success. Race proven? Check. Instagram ready? Check. 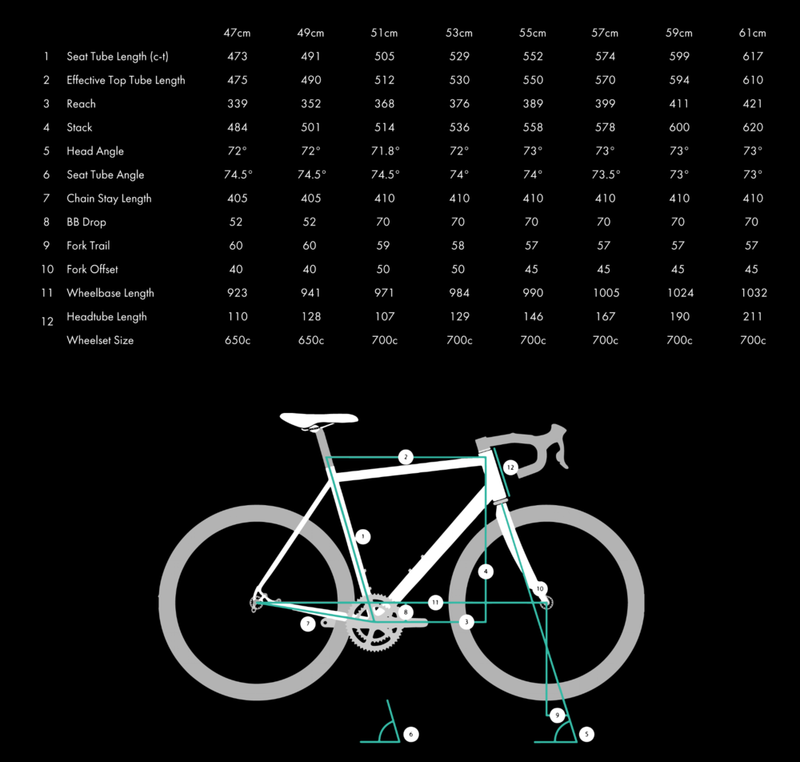 Pushing the limits of weight and technology in steel frames? Check. #sikcandyfadez®? Check. If you buy this bike people will like you, fear you, and employ you. Each bike is hand-sprayed in your choice of our five ISEN Workshop #sikcandyfadez® paint schemes. Caliper and Disc brake specific options available. Suitable for mechanical or electronic caliper groupsets. of Columbus Spirit, Max and Life tubes as well as custom carbon ISP, specifically chosen for lightweight, BB emanating stiffness and saddle emanating compliance. Comes with carbon ISP as standard. All our carbon tubes are custom specced and handmade for us. This allows us to keep weight down, easily integrate Di2/EPS battery systems, and fine tune ride characteristics. Handmade seat topper, available in 0mm or 20mm off- set (custom offset available on request). Full carbon Columbus Futura Caliper fork with 1.5” tapered carbon steerer. Choice of bottom bracket: BSA or T47 threaded. Squircle shaped downtube and bi-axially ovalised top tube. Direct mount rear brake for powerful braking, under chainstay for clean looks. Hand cut asymmetric lugs for carbon ISP. Caliper brake specific - QR front and rear (100mm front, 130mm rear). 700c wheels, clearance for 700x28c (sizes 51-61cm). Choice of five ISEN Workshop sikcandyfadez® paint schemes. *Buying an ISEN has been proven to affect your popularity and employability by up to 36.68%. **None of this is true.